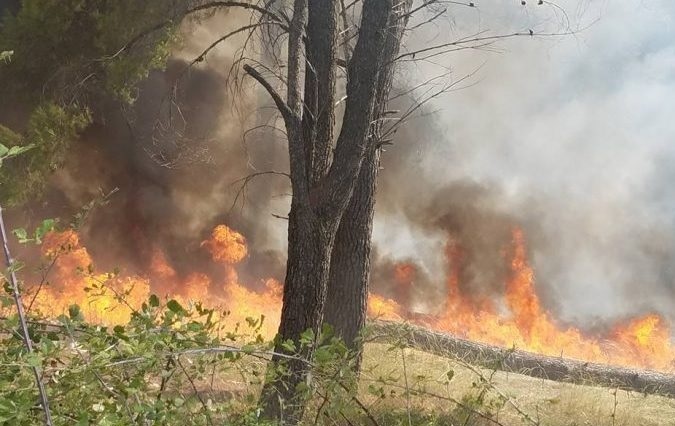 An olive grove is involved in flames today in Elbasan. It is learned that the fire was recorded at around 18.40 in the "Dyli Haxhire" neighborhood. The olive groves is on a rugged terrain and the fire has taken great proportions. At the scene there are police services and 15 firefighters who are working on fire extinguishing. The Chief of Civil Emergencies of Elbasan has been also informed. At about 18.40, in Elbasan's "Dyli Haxhire" neighborhood, fire on olive groove, rugged terrain, which has taken great proportions. At the scene there are police and firefighters services. The Chief of Civil Emergencies, Elbasan, was also informed. It is being worked on fire extinguishing.